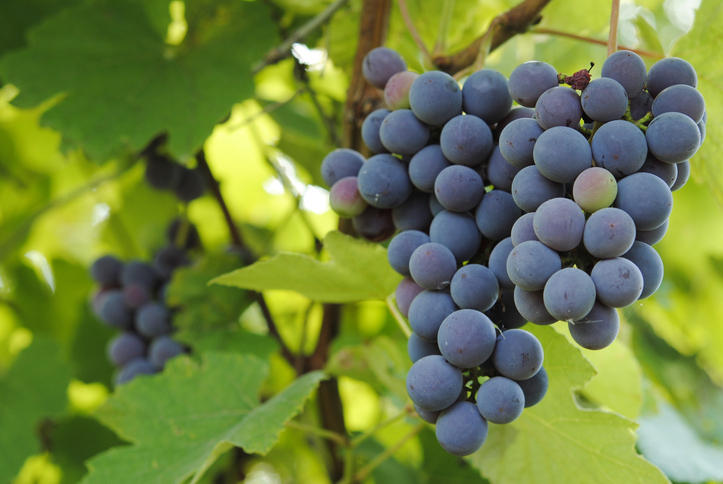 A grape is a smooth-skinned green or purple fruit that grows on vines. Most wine is made of grapes. Dried grapes are called raisins. Sheila likes to freeze grapes and eat them slowly. Watch the villagers crush grapes for wine in this scene from the movie A Walk in the Clouds. There are other meanings of grape.